The Center for World Catholicism and Intercultural Theology at DePaul University, Chicago, Illinois, U.S.A. sponsored World Catholicism Week 2010 from April 20 to 23, a conference on the globally interdependent dimensions of the Roman Catholic experience of faith. Two days were dedicated to Benedict XVI’s encyclical on economic globalization, Caritas in Veritate. In the opening keynote, Archbishop Celestino Migliore, Permanent Observer of the Holy See to the United Nations, set the tone by tracing the history of the Church’s social teaching and connecting it with the fundamental principles of solidarity, reciprocity, and subsidiarity central to the social encyclicals. For the next three days, his framework was developed in presentations by internationally-recognized theologians, economists, and business entrepreneurs. The week included three sessions on the Economy of Communion. Amy Uelmen, Director of the Institute on Religion, Law & Lawyer’s Work at Fordham University, presented “Caritas in Veritate and Chiara Lubich: Human Development from the Vantage Point of Unity.” Her talk provided a foundation for subsequent conversations on the EoC by highlighting the primary theme of Caritas: our human vocation to be “part of God’s family as sons and daughters.” She focused upon an insight fundamental to the encyclical: how true human development depends upon our recognizing that we are all part of the same family working together in communion. Amy connected this to the rich spiritually of communion that has been practiced for almost 70 years within the Focolare Movement, and that has developed into the “culture of giving” that permeates the Focolare communities at many levels. The second EoC session was given via SKYPE (due to the Iceland eruption) by Lorna Gold, Program Leader at Trocaire: Mobilising for Justice (Official Overseas Development Agency of the Catholic Church of Ireland). Her talk, “From ‘Spirituality of Communion’ to ‘Economy of Communion’ – the Evolution of a New Economic Culture” gave an overview of the development of the EoC on a global scale. 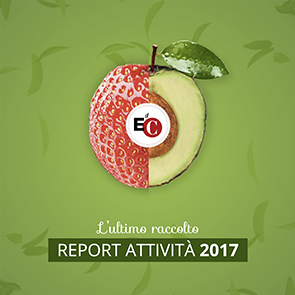 She explained the EoC’s spiritual roots in the communion of goods practiced within the Focolare Movement since it began in Trent, Italy during World War II, and illustrated how it has grown into a global network of almost 700 small to medium size businesses animated by those same principles. The 3rd EoC session featured John Mundell, President and CEO of Mundell & Associates, Inc., an EoC business headquartered in Indianapolis, Indiana, U.S.A. John presented a business owner’s perspective in “The Business of Working in Communion: The Art of Developing Relationships within an Economy of Communion Business,” Using first hand experiences, he showed how the EoC lifestyle is lived out, particularly the relationships of communion within the business, with the local community near the business, and with the worldwide community. World Catholicism Week also included a public forum for young Catholics. A panel of three young adults took part in a panel, “Young Catholics: The Experience of Christ and the Social Witness of the Ecclesial Movements.” Elizabeth Garlow, with Acción USA, and a member of the Focolare Gen Movement, spoke of doing her thesis research on the EoC by visiting the Focolare communities in Argentina and Brazil. She then described her experience as an intern in an EoC company in the United States, and its relevance to her current position working in microfinance. The closing address was delivered by Cardinal Peter Kodwo Appiah Turkson, President of the Pontifical Council for Justice and Peace, with a response by Francis Cardinal George, Archbishop of Chicago. Both emphasized the importance of the Church’s social teaching and the relevance of this newest encyclical in bringing to the public square the contribution that a spirituality of communion makes in addressing the tremendous needs of our brothers and sisters worldwide.